Tracie Welser is a graduate of the 2010 Clarion West Writers Workshop. Her recent publications include “A Body Without Fur” (May/June 2012 Interzone) and “Her Bones, Those of the Dead” (forthcoming in Outlaw Bodies). You can find her online at This Is Not An Owl and twitter: @traciewelser. “Writing, at its best, is a lonely life. Organizations for writers palliate the writer’s loneliness but I doubt if they improve his writing.” –Ernest Hemingway, from his acceptance speech for the Nobel Prize in Literature, 1954. 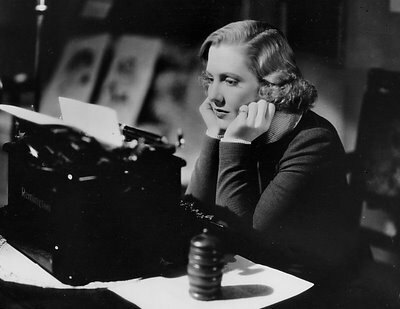 I wanted to start this post off with a pithy quote about how writing isn’t a solitary task, but apparently a lot of Famous Writers think it is. For me, attending conventions and other gatherings populated by members of the speculative fiction writing community has been a vital part of my writing life. I’ve made countless connections, some of which led to specific opportunities. Mostly, I felt inspired and educated and heartened by the people with whom I’ve connected. This year, travel to cons is less financially feasible for me, and that sobering fact has me thinking about just how very important they’ve been. Also, I’ve been thinking about what writing community looks like from the outside. With WorldCon and the Hugo Awards right around the corner, the usual sour grapes grumbling has started online, implications that the whole of spec-fic writerdom is an exclusive, self-congratulatory club. But perhaps a bit of truth is lodged in there somewhere. We ARE a community. Well, lots of little communities loosely networked together. A system of satellites in orbit around one another: toss in some shooting stars and some gas giants, and, well, you get the idea. From the “outside,” that community, which is so good at fostering new writers, may seem a tad intimidating. It may seem exclusive when in fact it’s extraordinarily welcoming. Research. Which conventions are other writers recommending? Don’t discount small regional cons, but do think carefully about choices that are geared mostly toward fan activity, even if the guests of honor sound exciting. Be aware of the “culture” and history* surrounding particular events (for instance, recent conversations about sexual harassment at Readercon demonstrate the responsiveness of the writing community and are an instructive resource for behavioral expectations). Prepare. Be ready to connect with business cards. Know which panels or publisher parties are be the most beneficial to attend (those best suited to your work and interests). Be prepared to talk about your own work succinctly. Connect. Do you know anyone planning to attend? A more experienced writer can help you navigate and network until you feel comfortable. Consider connecting IRL with writers you’ve met online as a way to build your network. Attend panels, but not exclusively. Look for informal opportunities to chat with other writers (some attendees ignore programming altogether), but don’t expect to be able to jump into conversation with anyone and everyone. Be mindful. Most people attend conventions to network and promote their work, just like you, but that doesn’t mean everyone you meet is open to talking to you. Talk to panelists afterwards. Don’t be afraid to offer your contact information if you have common interests. Take care of yourself physically. This is tougher than it sounds, but make sure to eat and sleep, and drink in moderation (for lots of reasons). Follow up with connections you’ve made via email or social media in a timely way. Rest! Sudden illness (what’s affectionately known as “con-crud”) after attending a convention is not uncommon. Keep writing. If you’re like me, convention-going feeds my creativity. Don’t let that slip away. Are you considering attending a con for the first time? What questions do you have? Are you a pro? Tell the story of your first con! What cons/activities do you find important, and what advice do you have for new con-goers? I started going to cons after about a 10 year hiatus. Before I’d gone to see actors, and that interest died, but now I’m going back as the writing side. Research the different cons to make sure it fits what you want. It’s tough sometimes because the programming doesn’t go up until like a week before, but there will be some pretty obvious things like the type of con. For example, I’m not into music, so the music-focused one only a 10 minute drive away from me is a no-go. The other thing is try to use travel opportunity to go to places you’ve never been to. That way, you can use the travel to build experiences for settings for future books — not to mention have fun outside the con. Thanks, Linda. Are there any specific cons you’d recommend to new writers?